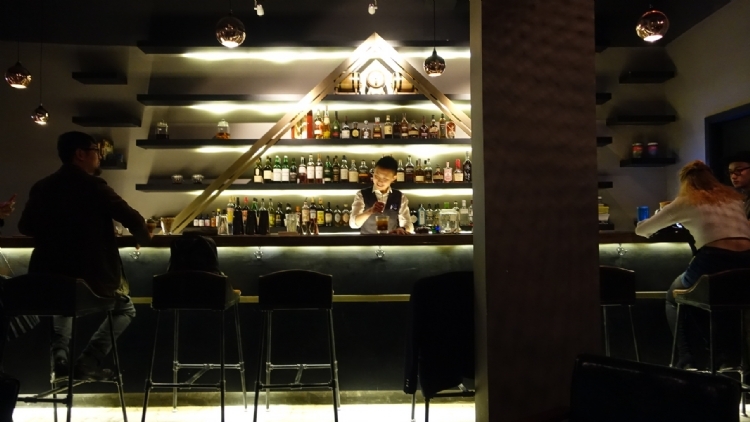 This two-year-old bar at the former home of I Love Shanghai is tucked away on the third floor of an old European-style house, and you have to enter through the Singaporean restaurant on the ground floor. 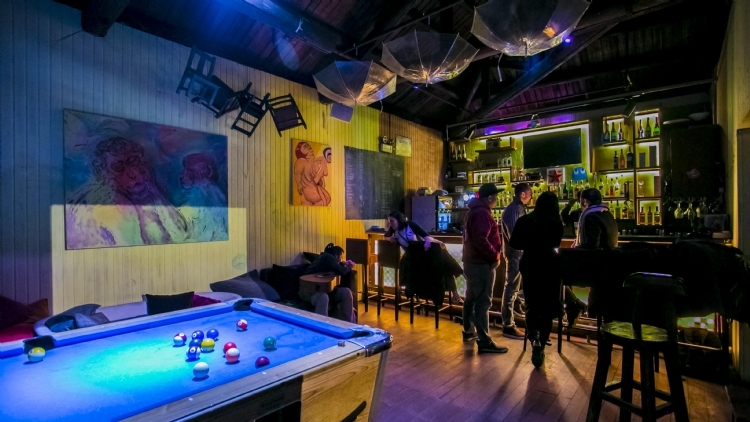 It’s a ragtag place with artworks around, an accessible pool table and a friendly crowd of regulars, and it’s the kind of place you can end up staying in all night. Put alongside other dives the drinks aren’t cheap – draft Carlsberg is 40RMB, Mornington pale is 50RMB and TKO IPA is 60RMB (but there’s a daily happy hour from 6-9pm). You’re better off going for the signature Weng Weng (60RMB), a mix of vodka, gin, rum, tequila, brandy and scotch that somehow comes out drinkable at the end. 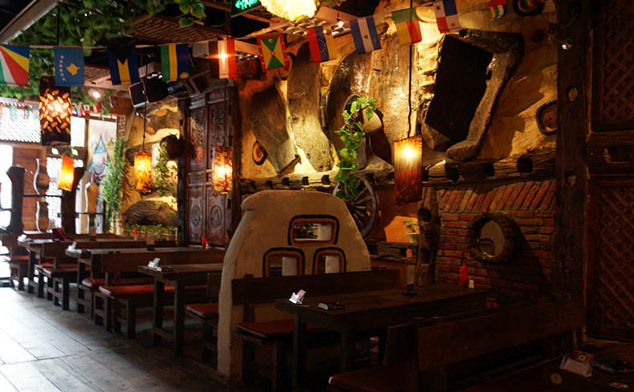 My Place Ruin Bar is at third floor, 1788 Xinzha Lu, near Jiaozhou Lu, Jingan district. 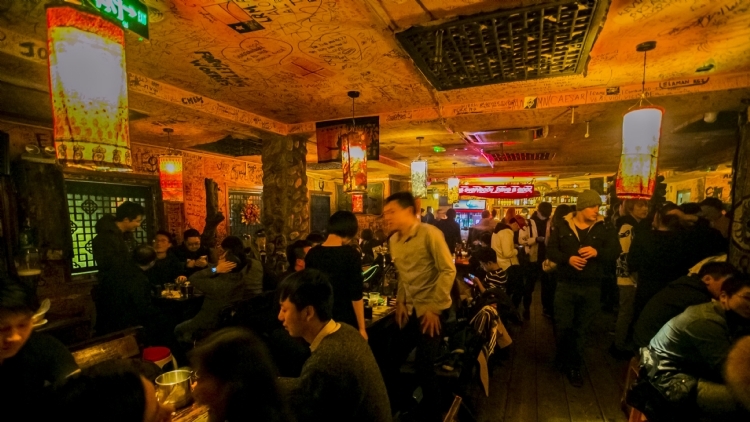 Having opened back in 2000, C’s is literally the mother of Shanghai dive bars, and is responsible for much of the nightlife we now take for granted (many of today’s most prominent DJs played their first gigs here). And the place still has one of the best bar vibes in town. The basement labyrinth has a dancefloor, seating in every corner and even a band practice room. Signature mojitos are 30RMB, with draft beers from 15RMB. Just a drunken stroll from DADA, it’s an integral stop on Shanghai’s quintessential down-and-dirty night out. C's is at 685 Dingxi Lu, near Fahuazhen Lu, Changning district. Windows has three locations around town specialising in bargain booze: Garage on Nanjing Xi Lu, Too next to Jingan Temple and our pick, Scoreboard, which you enter via a lift in a semi-vacant mall on Huaihai Zhong Lu. You emerge into a vast top-floor space, which boasts surprisingly impressive views (outside, not inside). 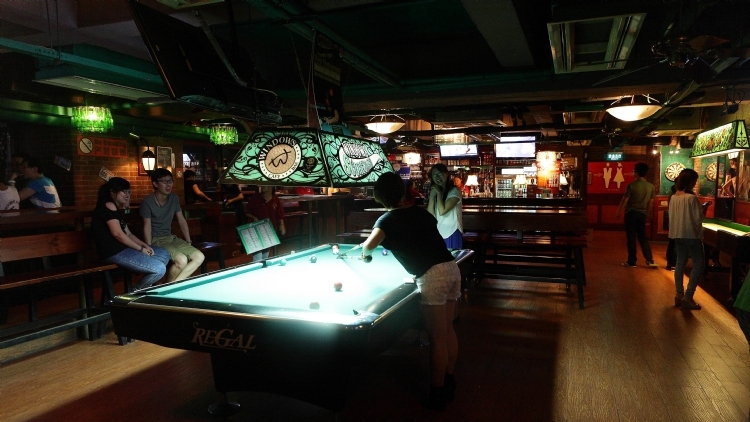 This place has all the bar sports a bro could ask for, with pool, darts, foosball and even beer pong catered for. It’s also home to one of our favourite deals: buy-one-get-one-free draft beers all night. If you want to go for a beer, you literally can’t do it here. They’ll bring you two pints of Tiger for 25RMB there and then (after you’ve paid upfront, of course). Note: Windows staff are indifferent towards age, so expect to see patrons born well into the 21st century. Windows is at floor 11, 527 Huaihai Zhong Lu, near Chengdu Lu, Huangpu district. Perry’s. It’s a Shanghai institution. 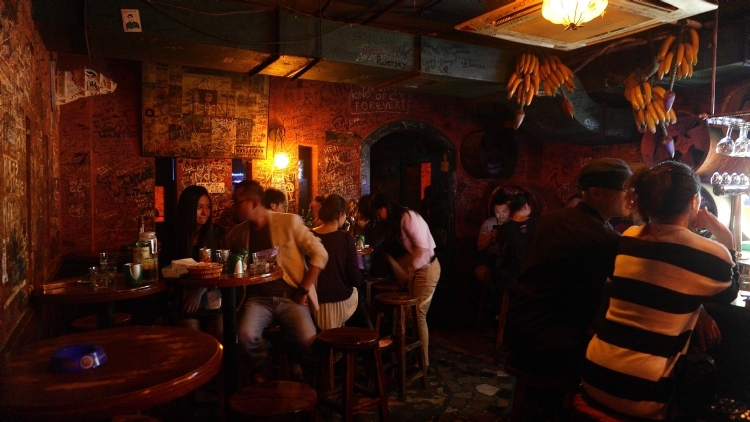 Causing bucket-induced hangovers since 2011, there are now five Perry’s venues littered across town, and the flagship dive on Huaihai Lu is downright raucous. At least it was on our Friday night visit, where hedonists were spilling out of the third-floor bar onto the stairs. The music policy seems to be an evolving beast, now spouting modern hip-hop and Michael Jackson – dare we say good music – rather than the Katy Perry and wedding sing-alongs of old. It’s near-guaranteed fun, but be warned: too many alco-buckets here will leave you in need of buckets for another reason the next day. Perry's is at third floor, 1333 Huaihai Lu, near Baoqing Lu, Xuhui district. Multiple locations across Shanghai. Helen’s is exactly like Perry’s except turned down a couple of notches. 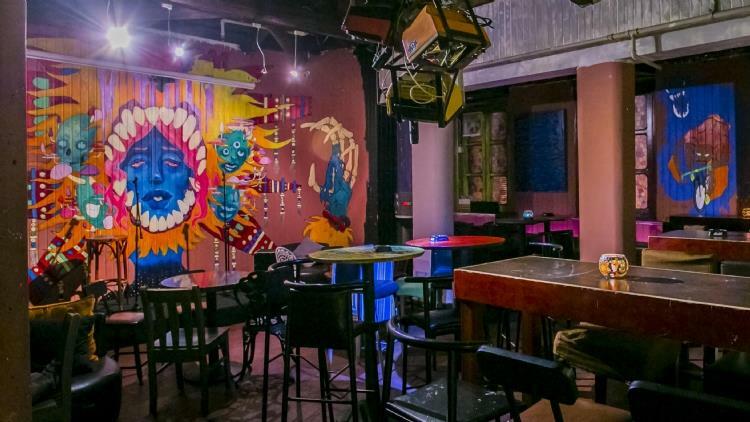 It’s a bit smaller, with tables prioritised over dancing space, and the menu includes beers in bottles or three litre ‘tubes’, Bacardi Breezers, and shisha (50RMB, peach or mint). Plus there’s the constant rattling of punters playing liar’s dice – so you may as well learn the rules and join in. 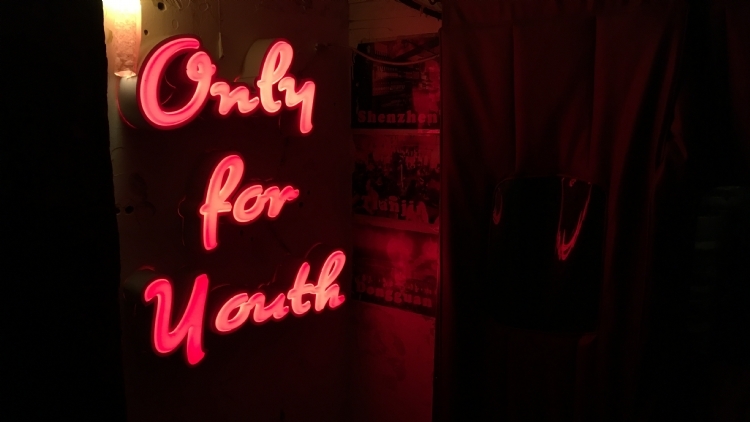 And despite the glowing ‘only for youth’ sign outside, it’s a noticeably older crowd than Windows. A spot for a feel-good drinking session with the chance of encountering vomit in the bathroom. Helen's is at second floor, 148 Maoming Bei Lu, near Weihai Lu Jingan district. 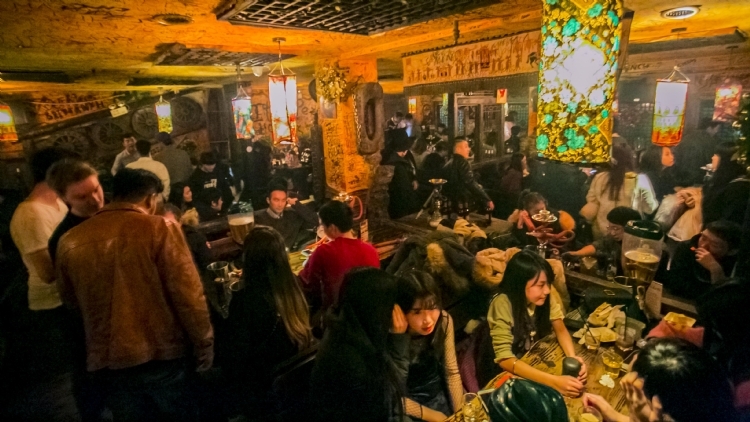 We actually stumbled on this place when trying to find I Love Shanghai, a Tianzifang dive bar that seems to have been consigned to history and out-of date internet listings. We instead stopped for a drink in Walker’s bar and quickly realised it had everything you could ask for from a dive - a pool table, profanities on the walls and a late-night free flow deal (150RMB for two hours of one of the house cocktails, 10pm-midnight). With dingy corners, creaky wooden stairs and the kind of three-floor layout you might expect from a gloomy London pub, it’s got what we call character. A decent option if you’re lost in Tianzifang. Walker's is at Number 12, Lane 248, Taikang Lu, near Sinan Lu, Huangpu district. 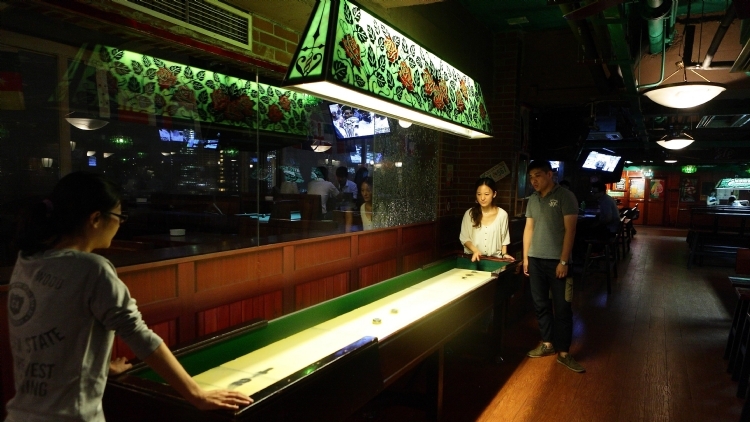 Koala has most of the aspects sought after by the dive bar connoisseur – a pool table, well-priced beer, laminated menus featuring burgers (55RMB) and the slight feeling that if you fell over you might be stuck to the floor forever. Yet by boasting a pleasant terrace, it’s a notch in class above some of the enormo-dives listed here; as such beer isn’t as dirt cheap as elsewhere (a Tiger costs 35RMB) but the 3-8pm buy-one-get-one-free happy hour that runs Sunday to Monday sorts that out. The crowd is a friendly mix of locals, foreigners, students and non-students and the Aussie theme isn’t overbearing. It’s just a good bar, basically. Koala is at 280 Huaihai Xi Lu, near Panyu Lu, Changning district.